Practically every time I open a magazine or click online these days, I am confronted with hygge. And my first thought is: Finally, someone is speaking my language! Hygge is a Danish word that's started getting a lot more airplay lately, especially as winter comes upon us. Pronounced hue gah or hoog uh, it’s often translated as a kind of soothing coziness that, for Danes, is such a collectively held ideal it’s as if the concept is woven into their very being. I know this first-hand, as my mother was born and raised in Denmark. As a result, I grew up with the notion of hygge all around me. But she did "get" hygge and, genetically, so did I. 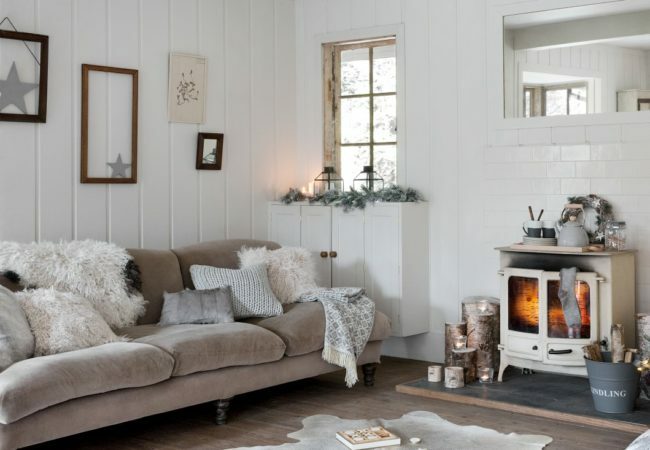 The loveliness of hygge does not just revolve around warm fires and soft blankets – though that’s often how home design magazines illustrate the concept. It’s also tied to the profound goodness of being with people who nourish you. The deep pleasure and comfort that comes from hunkering down with the someone (or someones) you love. I have always attempted to create a sense of hygge in the homes I’m selling. Not only because it makes buyers feel good when they tour the house, but also because it’s an idea that I feel so personally committed to. It’s even one of the reasons that I decided to make my home here. Montclair itself feels hygge to me. Our clothing shops are hygge. Our yoga studios are hygge. Even our tattoo parlor feels hygge. When helping people find their "right home," hygge is always a feeling I try to help someone identify (although I rarely ever call it that!). That space where they can truly sink into contentment. Their happy place.